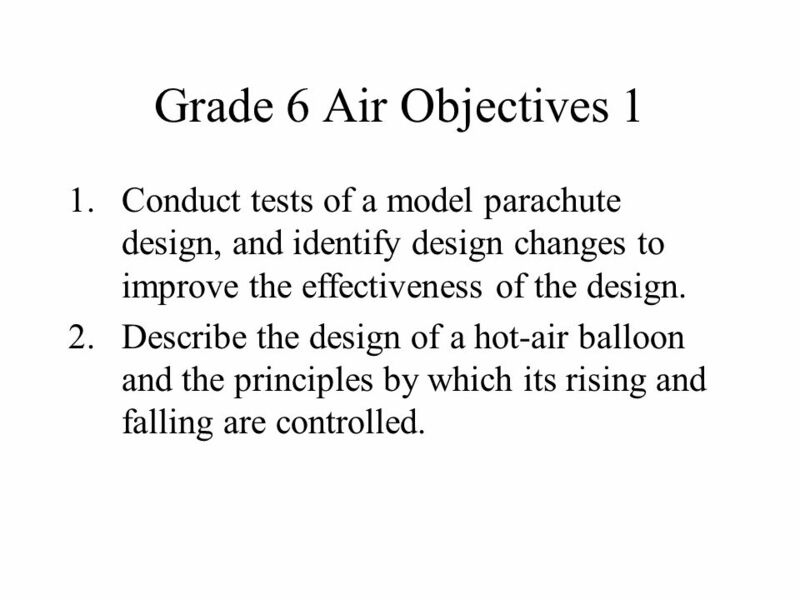 2 Grade 6 Air Objectives 1 Conduct tests of a model parachute design, and identify design changes to improve the effectiveness of the design. 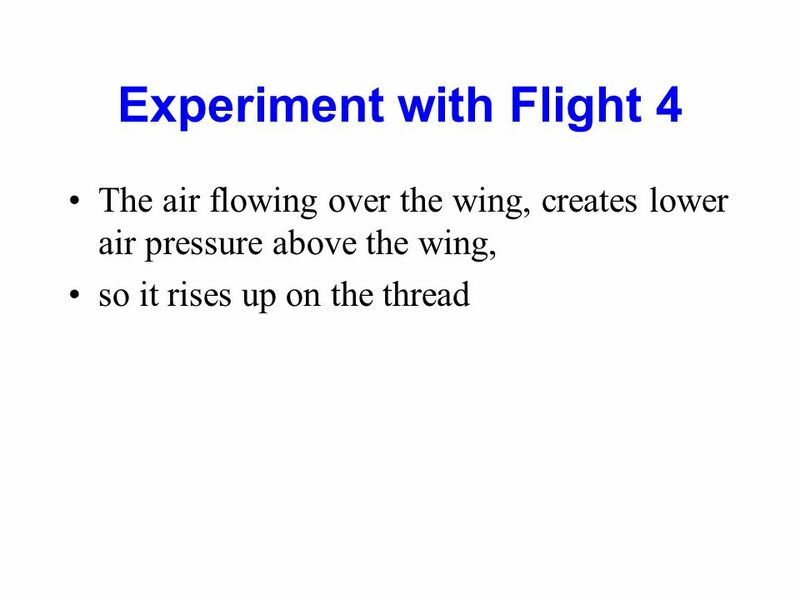 Describe the design of a hot-air balloon and the principles by which its rising and falling are controlled. 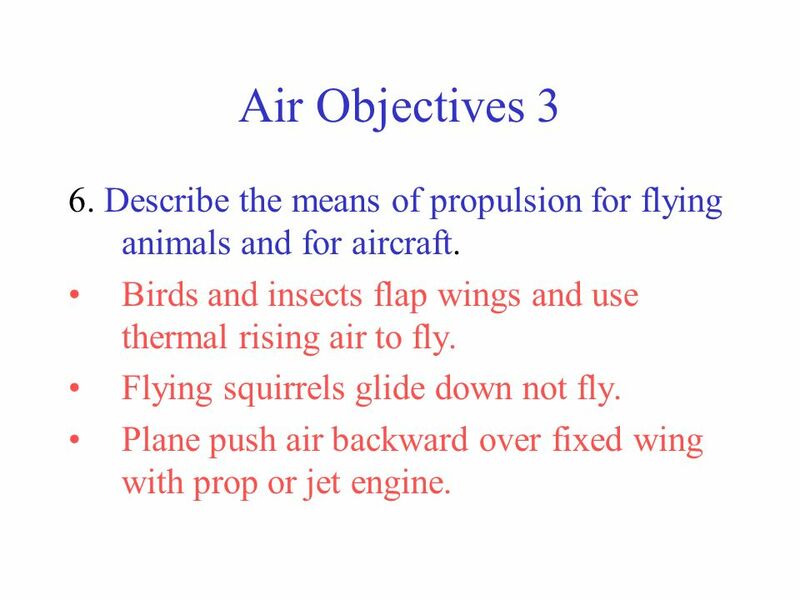 3 Grade 6 Air Objectives 2 3. 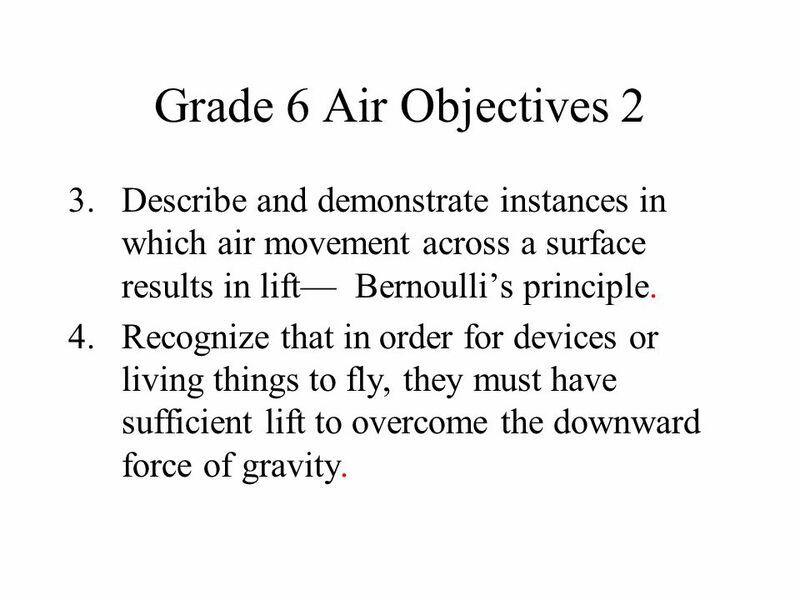 Describe and demonstrate instances in which air movement across a surface results in lift— Bernoulli’s principle. 4. 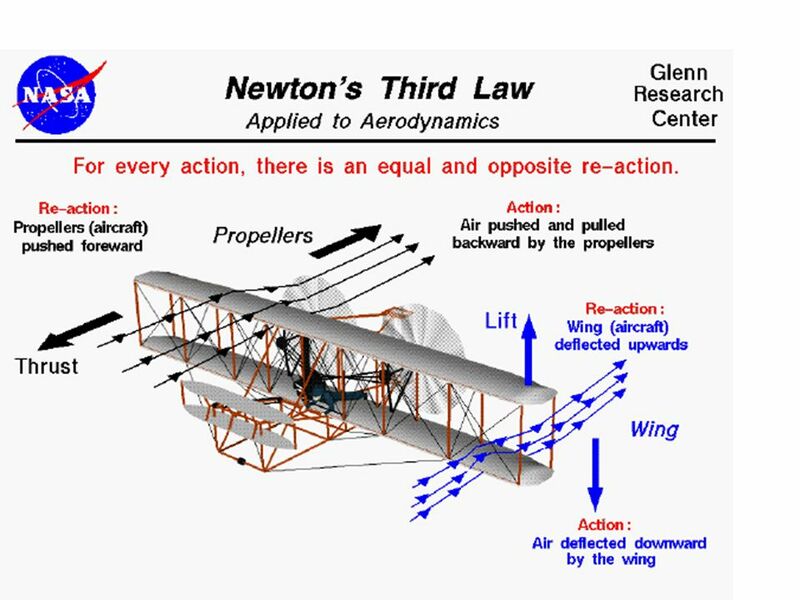 Recognize that in order for devices or living things to fly, they must have sufficient lift to overcome the downward force of gravity. 5 Grade 6 Air Objectives 4 7. 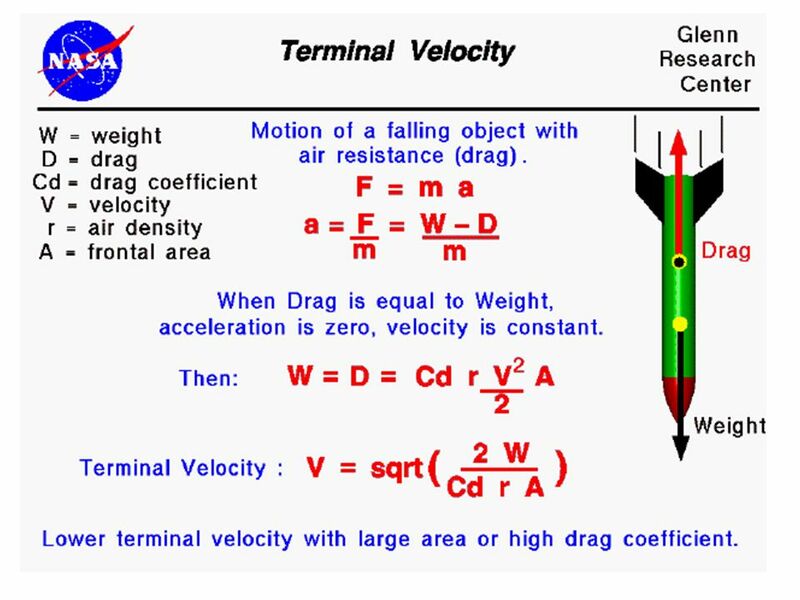 Recognize that streamlining reduces drag, and predict the effects of specific design changes on the drag of a model aircraft or aircraft components. 8. 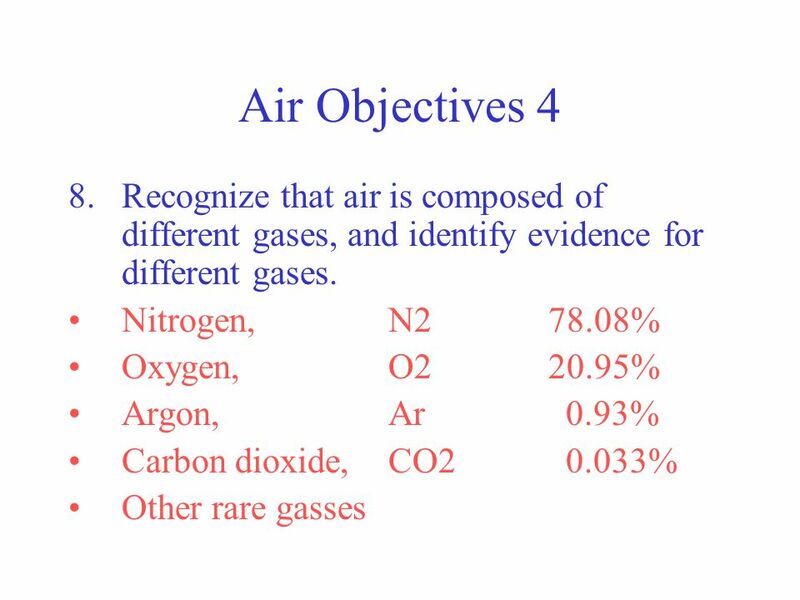 Recognize that air is composed of different gases, and identify evidence for different gases. 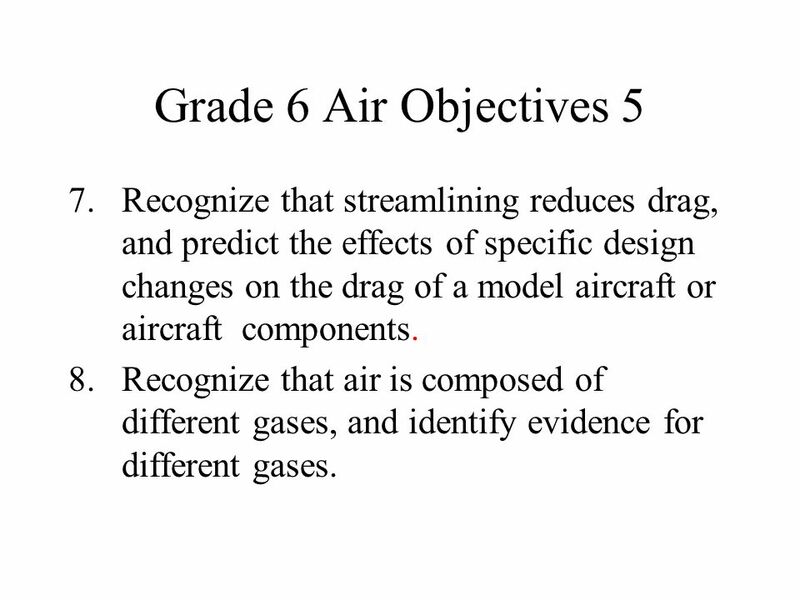 6 Grade 6 Air Objectives 5 7. 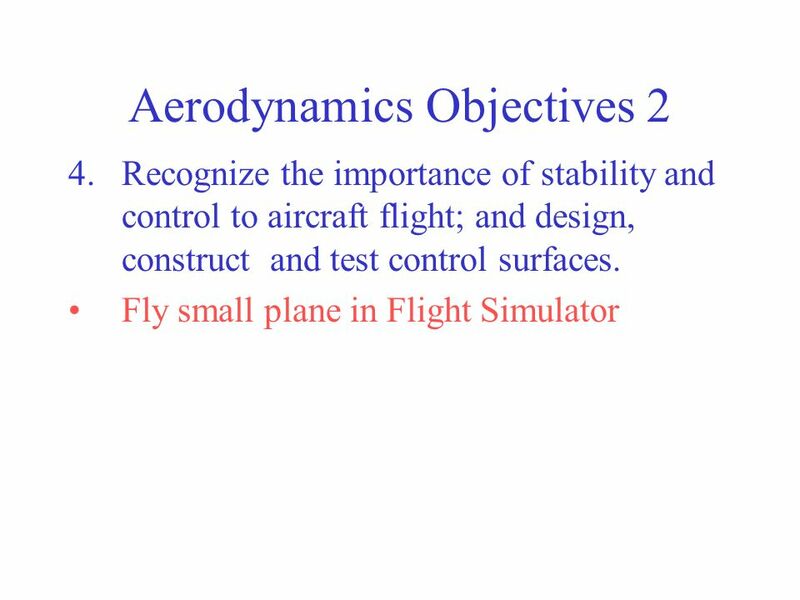 Recognize that streamlining reduces drag, and predict the effects of specific design changes on the drag of a model aircraft or aircraft components. 8. Recognize that air is composed of different gases, and identify evidence for different gases. 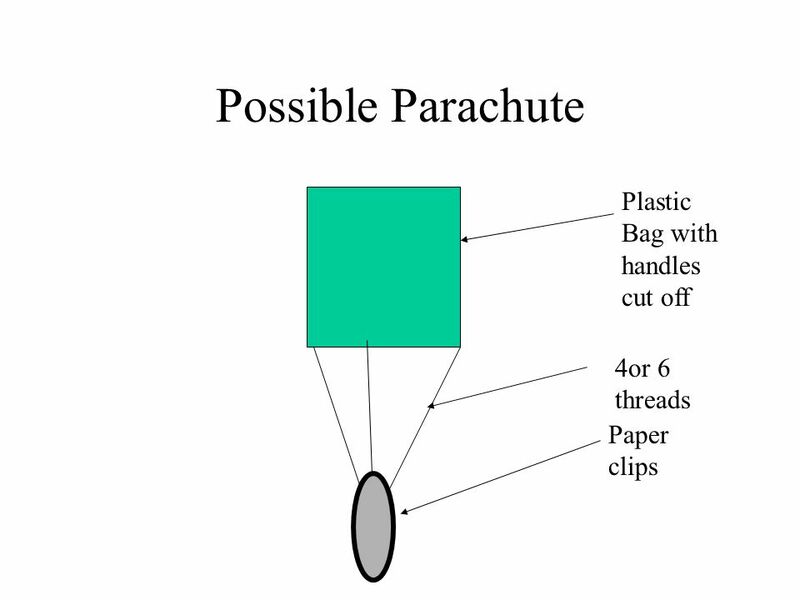 Conduct tests of a model parachute design, and identify design changes to improve the effectiveness of the design. 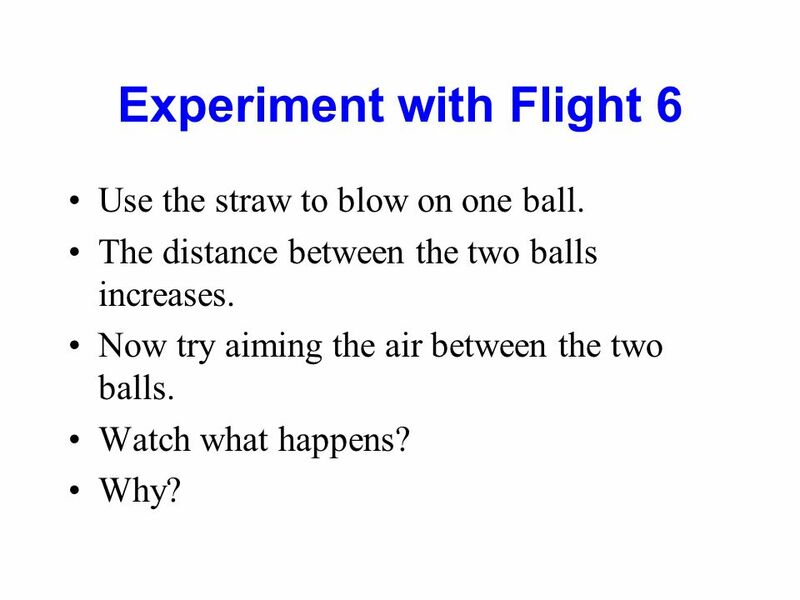 Describe the design of a hot-air balloon and the principles by which its rising and falling are controlled. 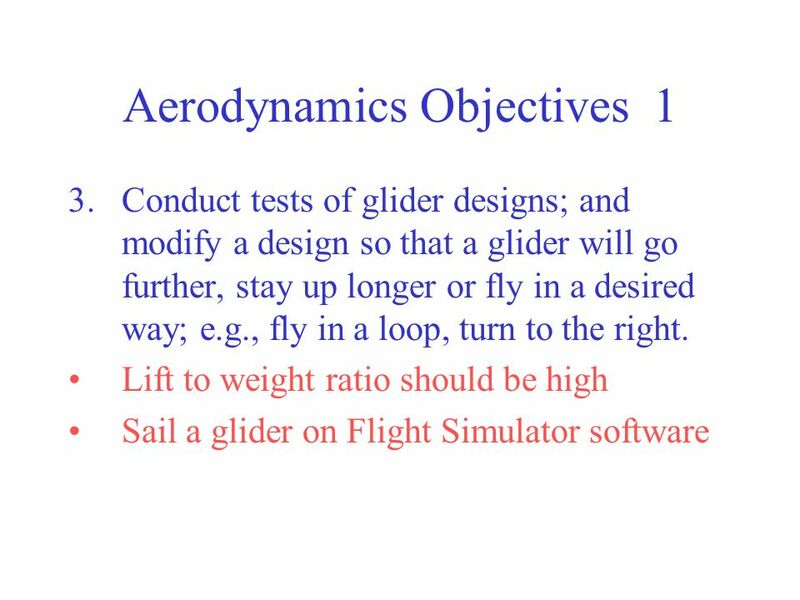 Conduct tests of glider designs; and modify a design so that a glider will go further, stay up longer or fly in a desired way; e.g., fly in a loop, turn to the right. 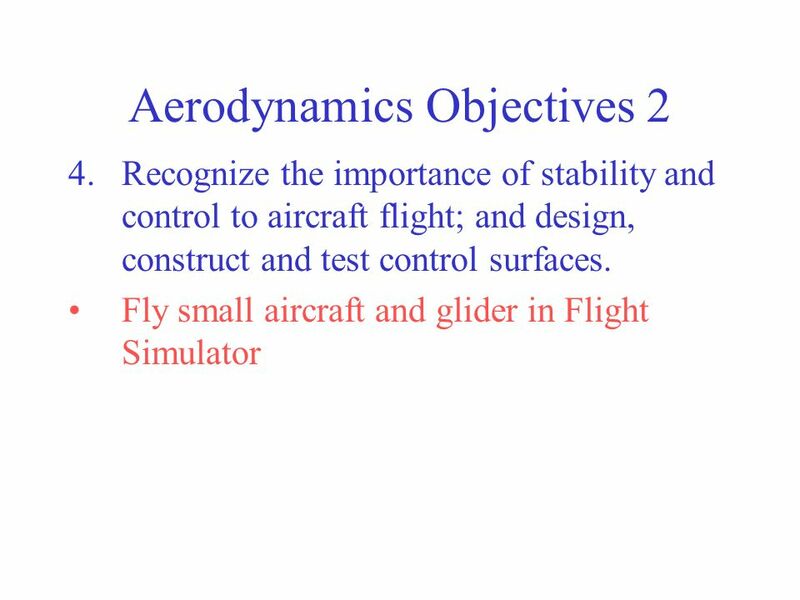 Recognize the importance of stability and control to aircraft flight; and design, construct and test control surfaces. 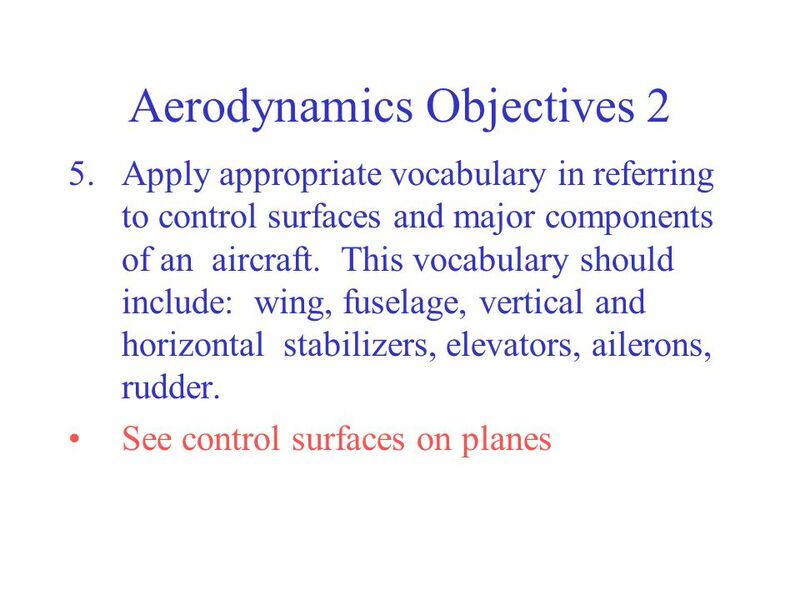 Apply appropriate vocabulary in referring to control surfaces and major components of an aircraft. 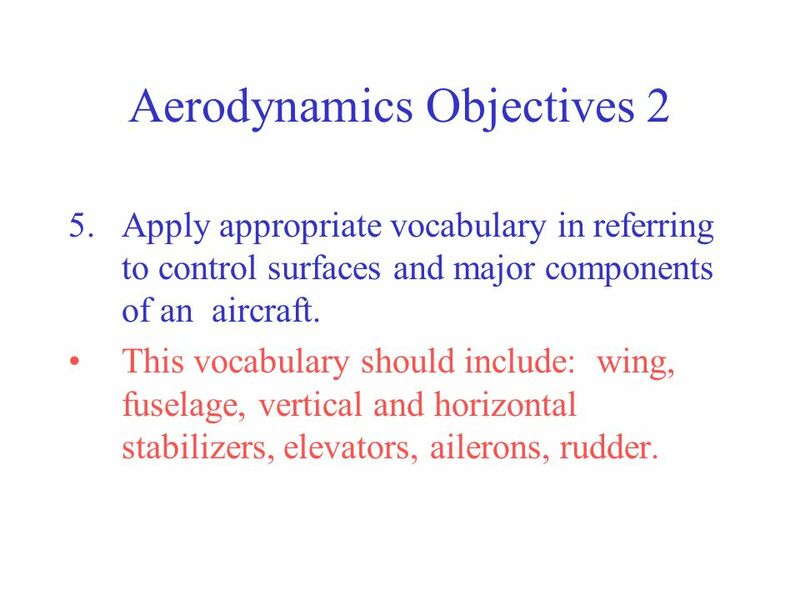 This vocabulary should include: wing, fuselage, vertical and horizontal stabilizers, elevators, ailerons, rudder. Construct and test propellers and other devices for propelling a model aircraft. 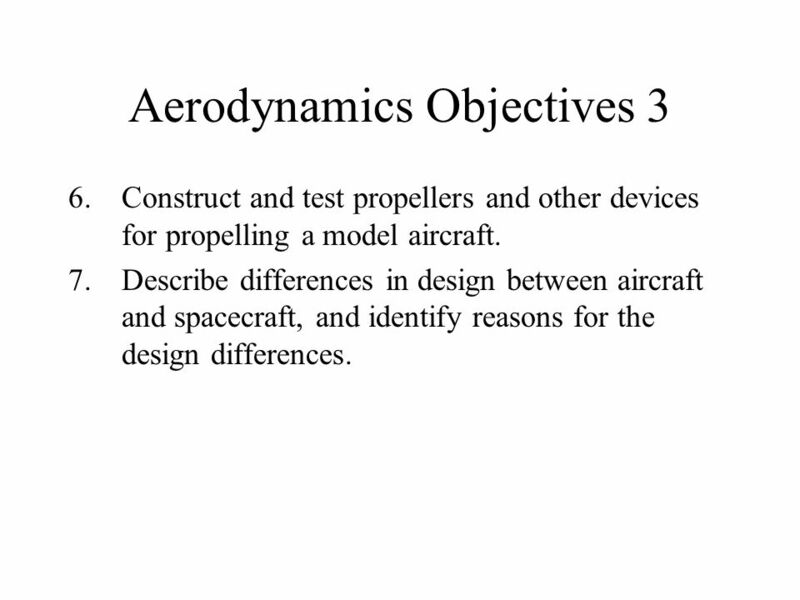 Describe differences in design between aircraft and spacecraft, and identify reasons for the design differences. 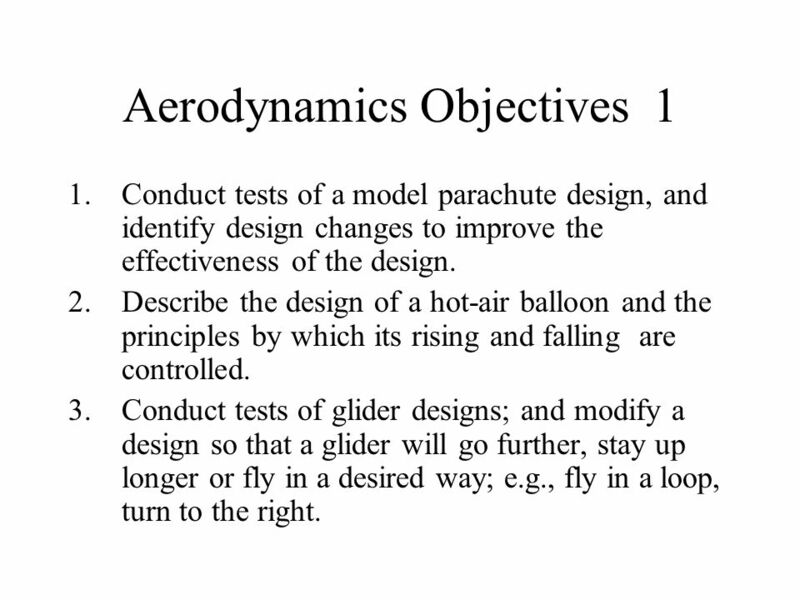 Conduct tests of a model parachute design, and identify design changes to improve the effectiveness of the design. Possible method use a plastic bag, thread and a paperclip. 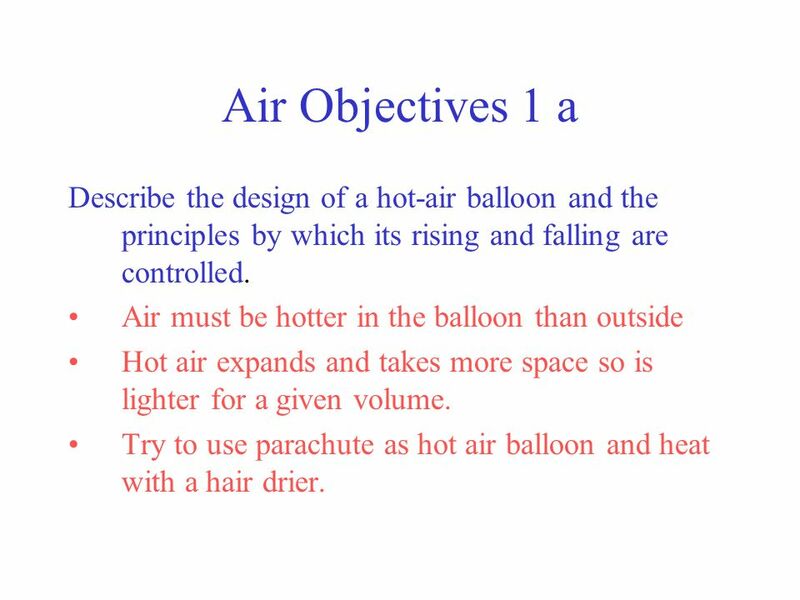 13 Air Objectives 1 a Describe the design of a hot-air balloon and the principles by which its rising and falling are controlled. 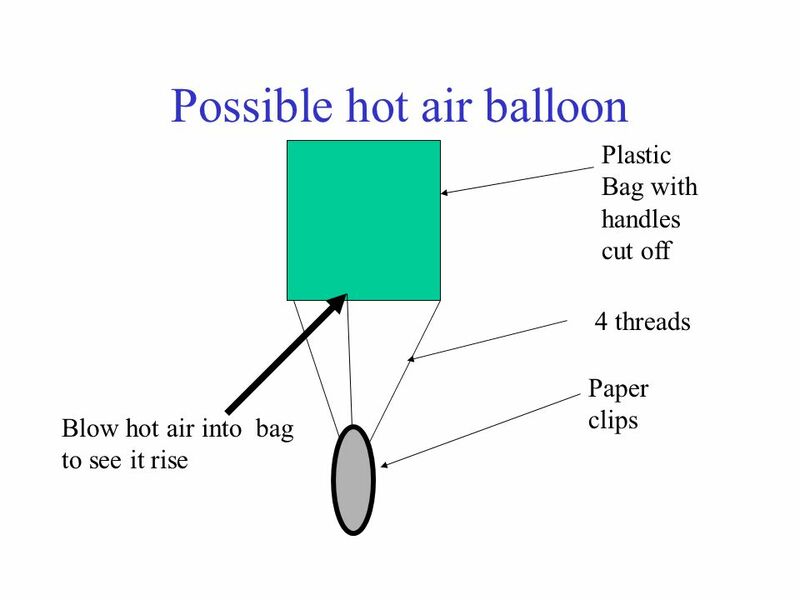 Air must be hotter in the balloon than outside Hot air expands and takes more space so is lighter for a given volume. 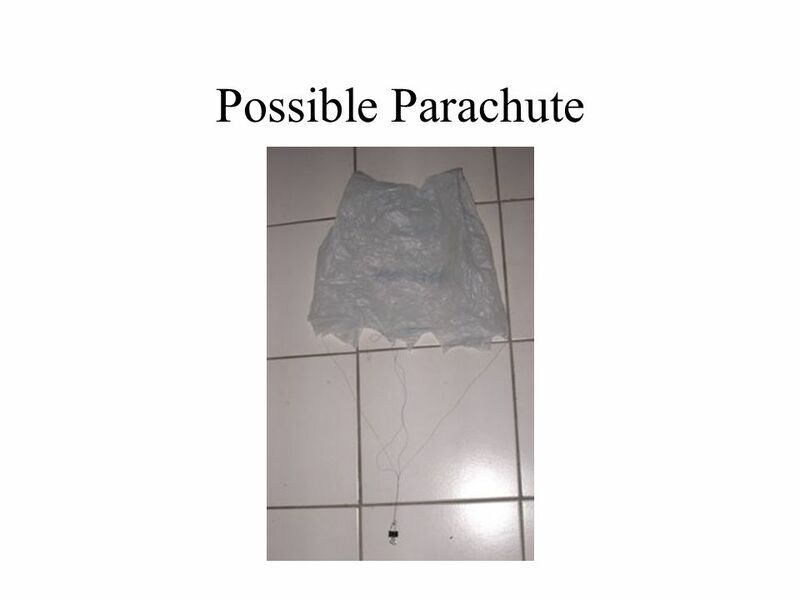 Try to use parachute as hot air balloon and heat with a hair drier. 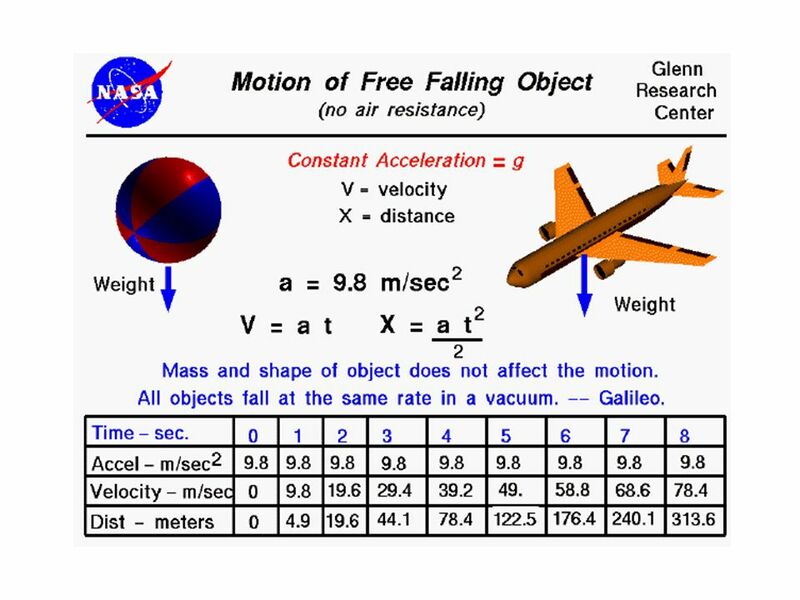 16 Air Objectives 2 Recognize that in order for devices or living things to fly, they must have sufficient lift to overcome the downward force of gravity. Bird and bats have movable wing that change shape during flight to maximize efficiency. Some insects have very thin strong wings that beat very fast. Over 400 time a second for mosquitoes. 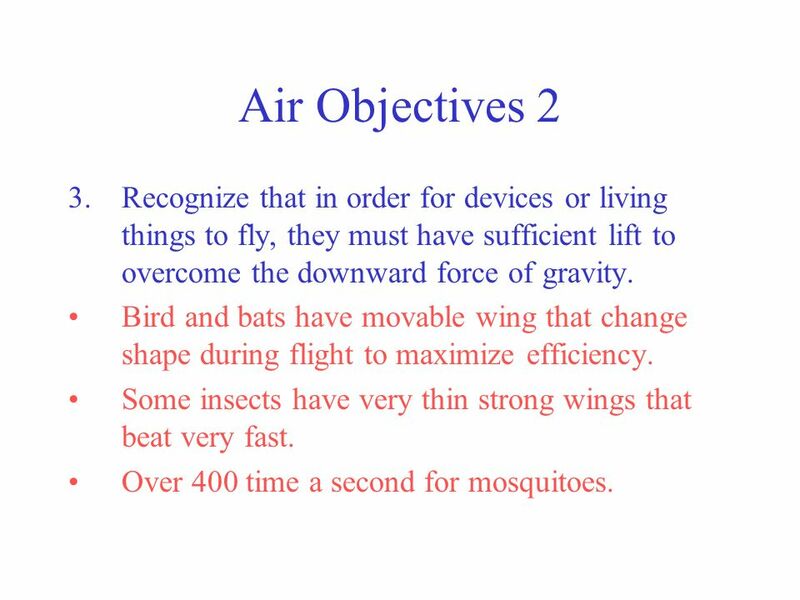 18 Air Objectives 3 6. 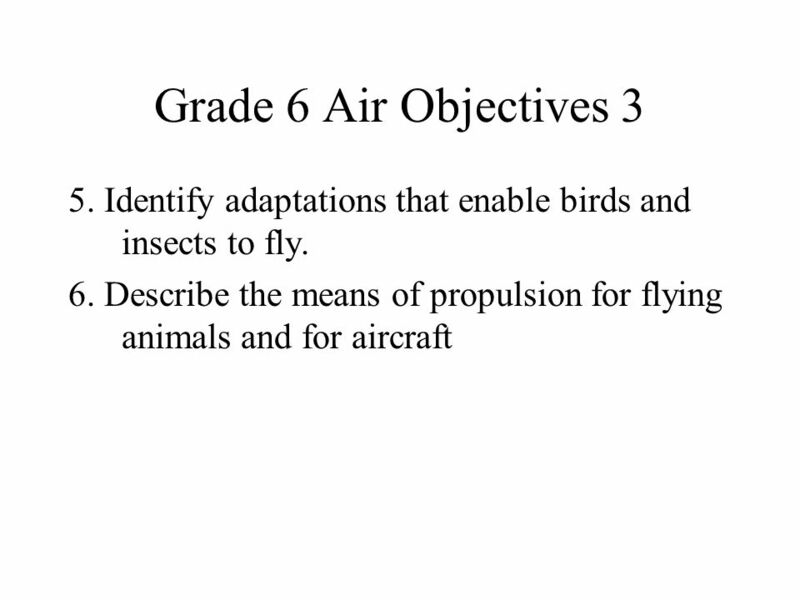 Describe the means of propulsion for flying animals and for aircraft. Birds and insects flap wings and use thermal rising air to fly. Flying squirrels glide down not fly. Plane push air backward over fixed wing with prop or jet engine. 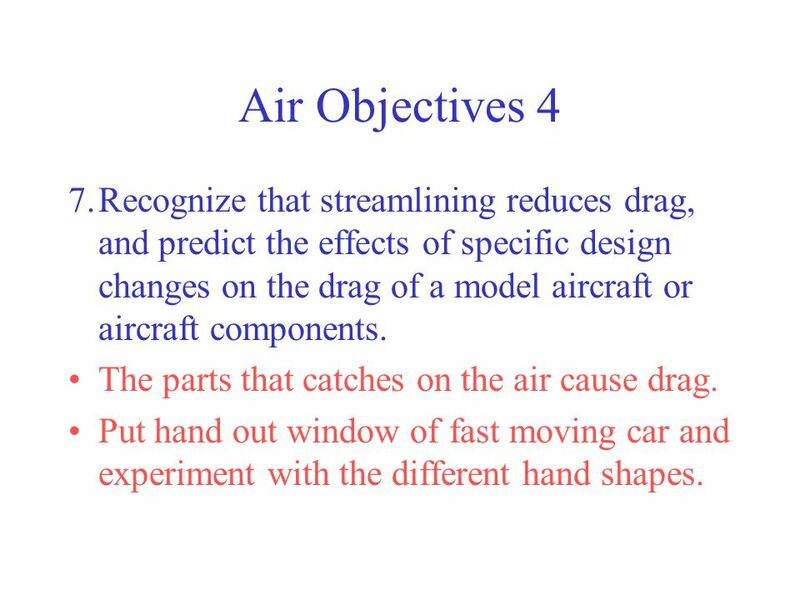 20 Air Objectives 4 Recognize that streamlining reduces drag, and predict the effects of specific design changes on the drag of a model aircraft or aircraft components. The parts that catches on the air cause drag. Put hand out window of fast moving car and experiment with the different hand shapes. 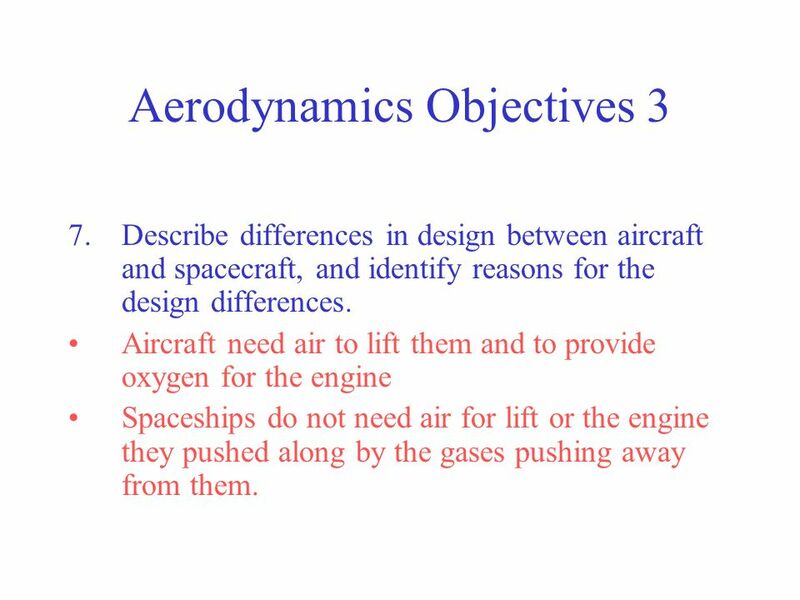 Describe differences in design between aircraft and spacecraft, and identify reasons for the design differences. 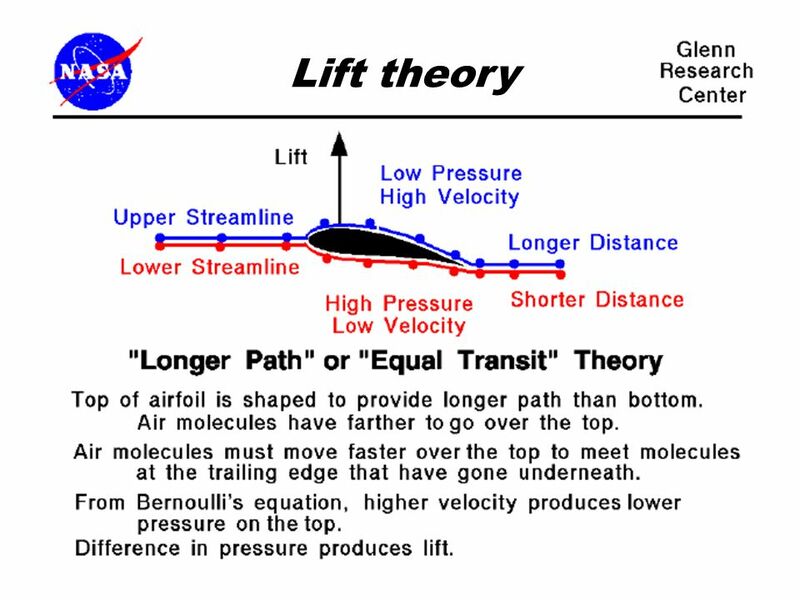 Aircraft need air to lift them and to provide oxygen for the engine Spaceships do not need air for lift or the engine they pushed along by the gases pushing away from them. 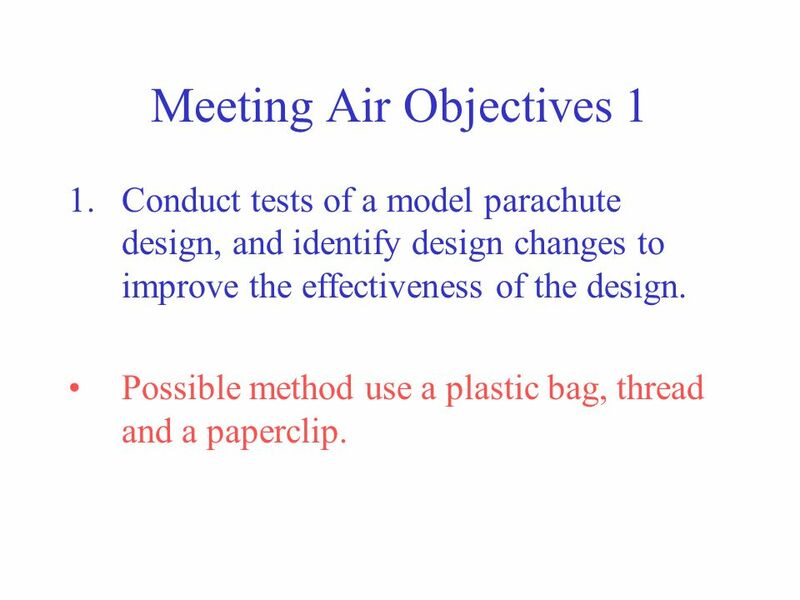 Conduct tests of a model parachute design, and identify design changes to improve the effectiveness of the design. 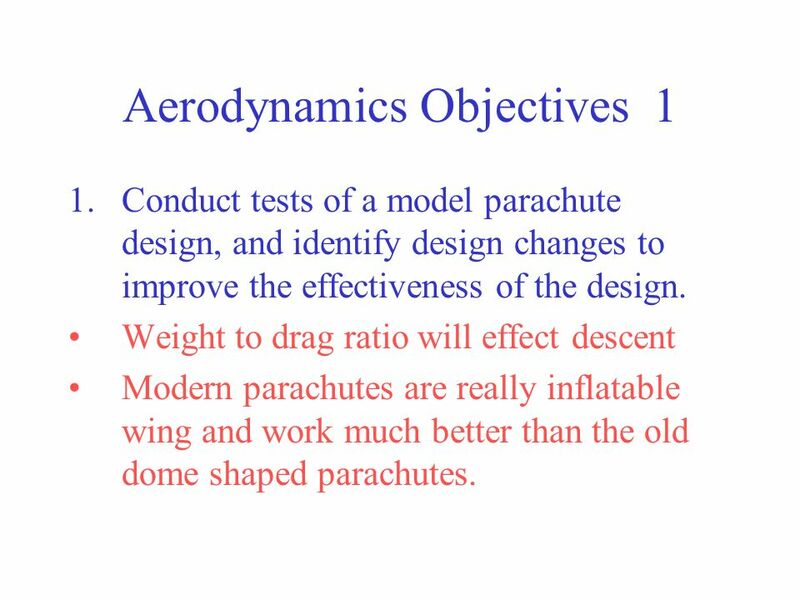 Weight to drag ratio will effect descent Modern parachutes are really inflatable wing and work much better than the old dome shaped parachutes. 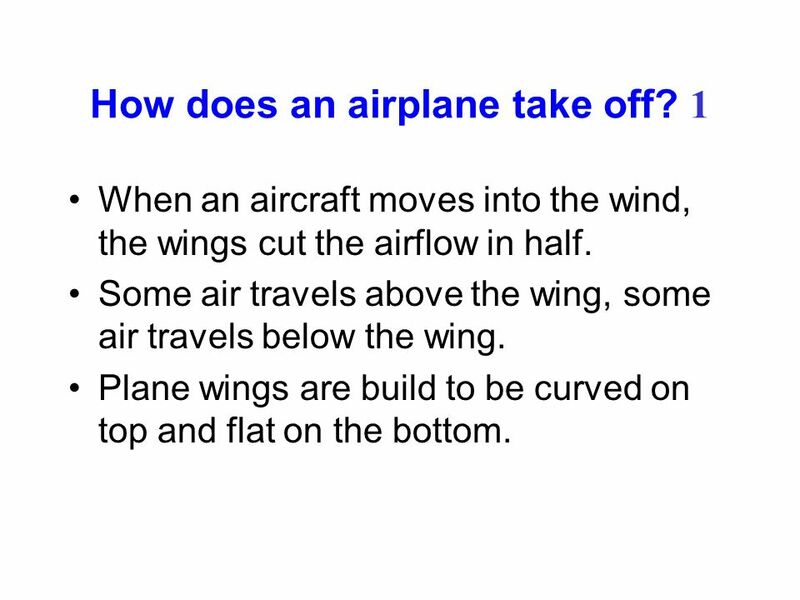 When an aircraft moves into the wind, the wings cut the airflow in half. Some air travels above the wing, some air travels below the wing. 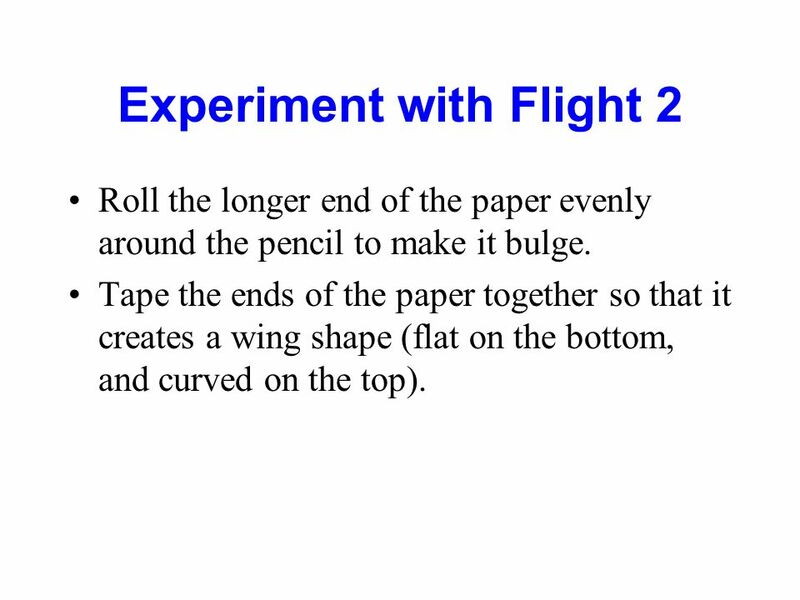 Plane wings are build to be curved on top and flat on the bottom. The wind, or air stream, flowing over the wing travels a different path from air traveling under the wing. 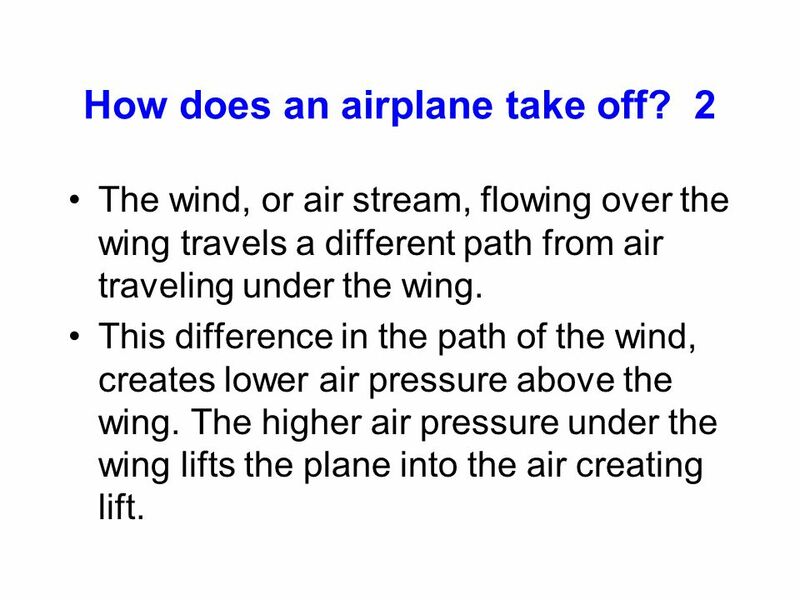 This difference in the path of the wind, creates lower air pressure above the wing. 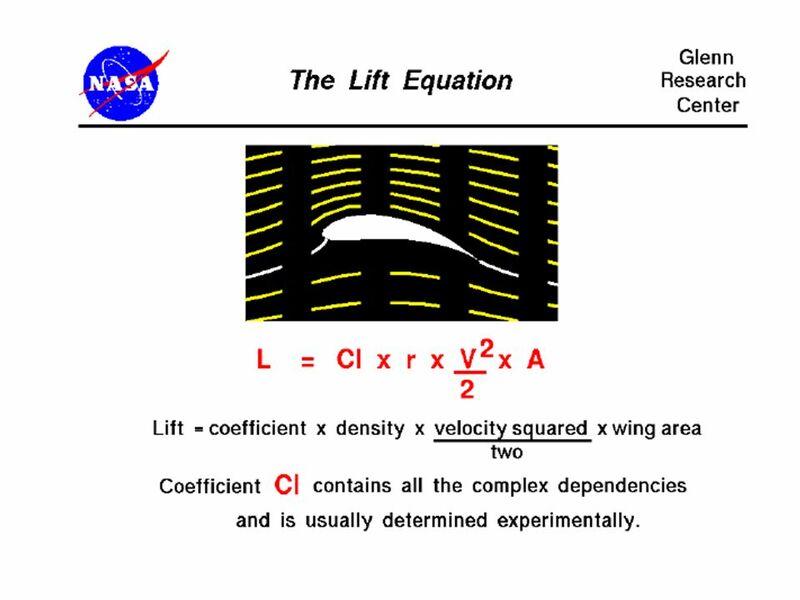 The higher air pressure under the wing lifts the plane into the air creating lift. 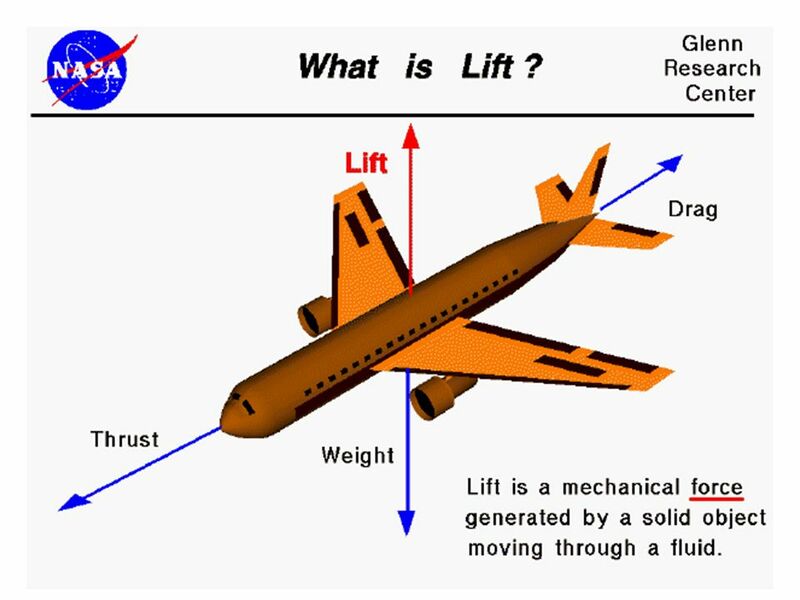 When there is enough lift to overcome gravity, the plane takes off. 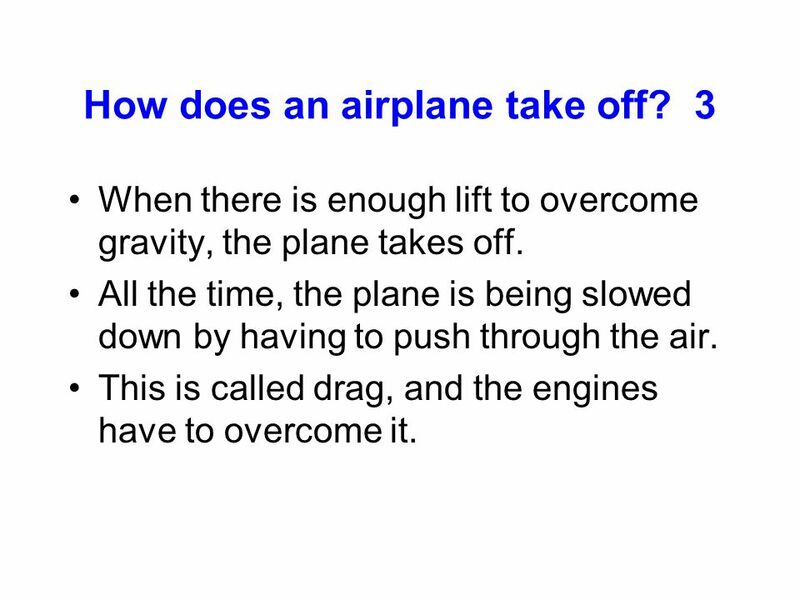 All the time, the plane is being slowed down by having to push through the air. This is called drag, and the engines have to overcome it. 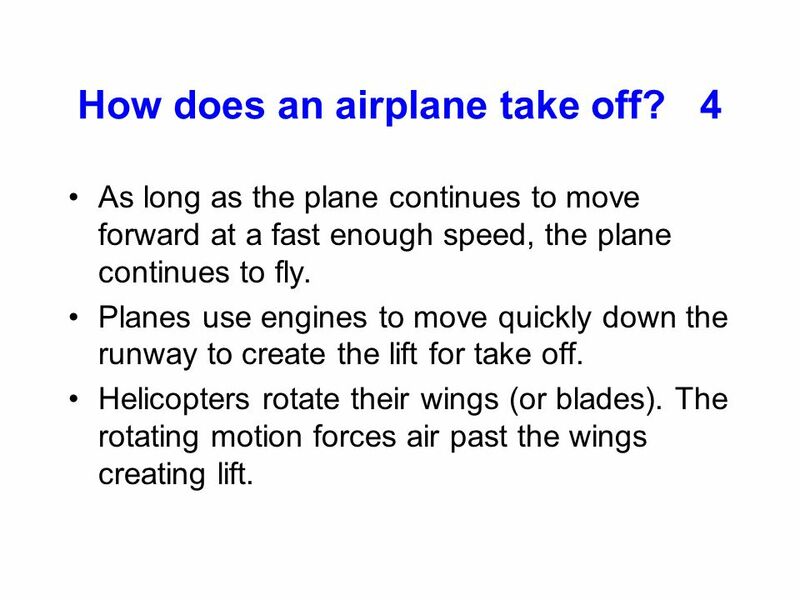 As long as the plane continues to move forward at a fast enough speed, the plane continues to fly. Planes use engines to move quickly down the runway to create the lift for take off. Helicopters rotate their wings (or blades). 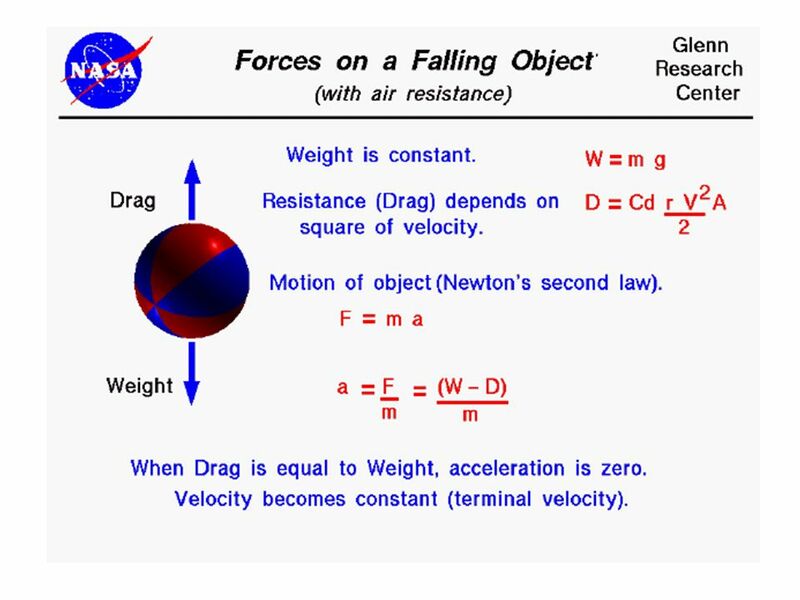 The rotating motion forces air past the wings creating lift. Roll the longer end of the paper evenly around the pencil to make it bulge. 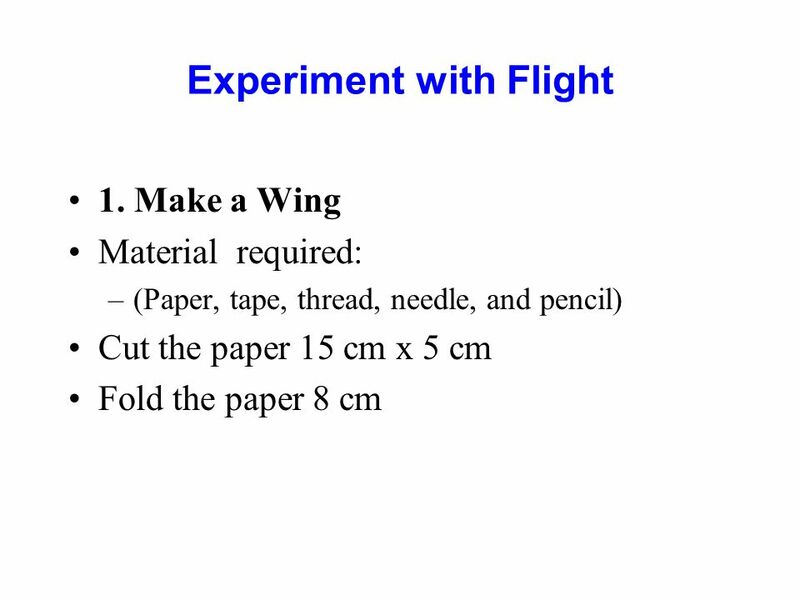 Tape the ends of the paper together so that it creates a wing shape (flat on the bottom, and curved on the top). Thread the needle and push the thread through the wing, about a third of the way back from the curved end. Remove the needle from the thread. Hold both ends of the thread and blow over the front end of wing. 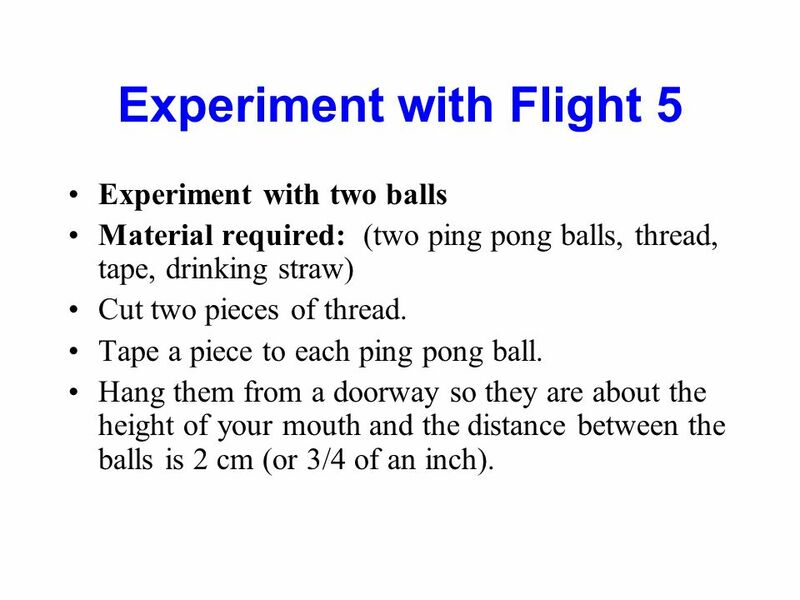 Experiment with two balls Material required: (two ping pong balls, thread, tape, drinking straw) Cut two pieces of thread. Tape a piece to each ping pong ball. Hang them from a doorway so they are about the height of your mouth and the distance between the balls is 2 cm (or 3/4 of an inch). Use the straw to blow on one ball. The distance between the two balls increases. Now try aiming the air between the two balls. Watch what happens? Why? 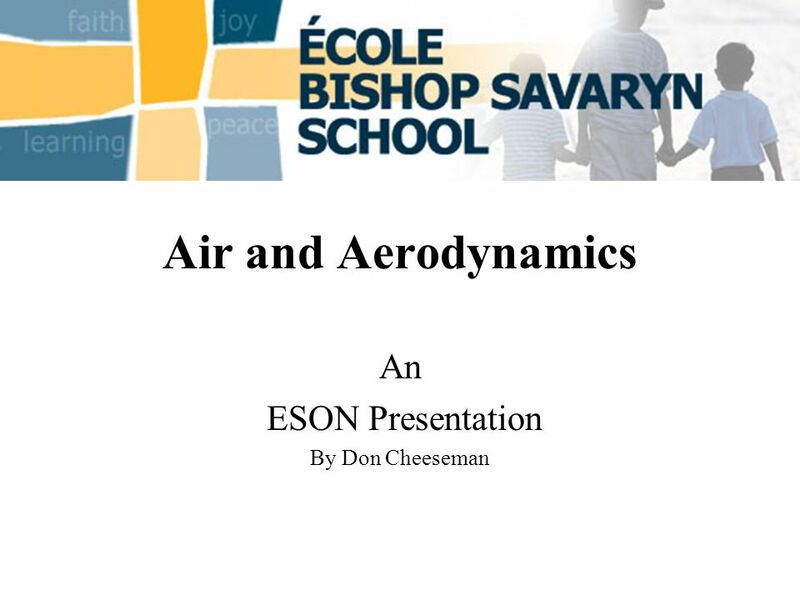 Download ppt "An ESON Presentation By Don Cheeseman"
Aeronautics airplane aileron balloon aircraft clouds 1.  A radio controlled aircraft (model) is controlled remotely by a hand held transmitter & receiver within the aircraft.  The. 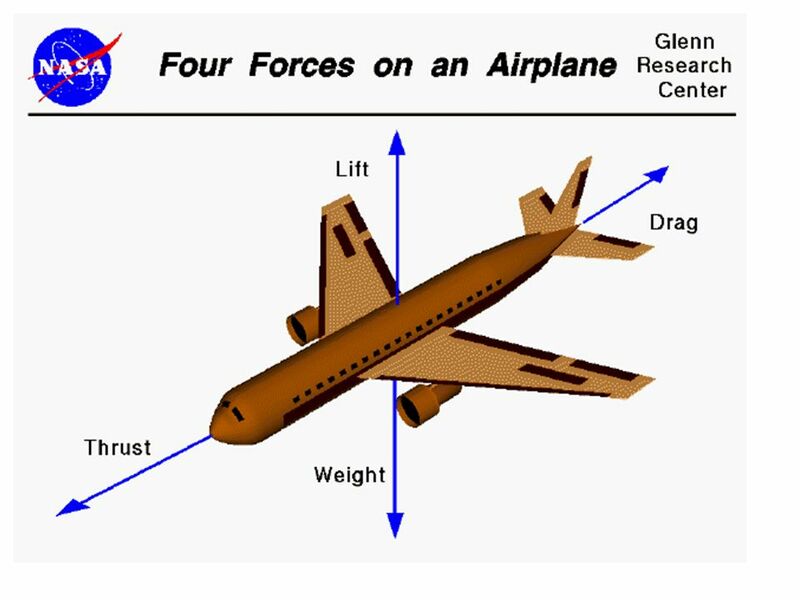 Overview Brief discussion of the 4 forces acting on a plane Brief discussion of the 4 forces acting on a plane Brief definition of the 4 forces Brief. Science and Discoveries in Europe through the four elements Air Základná škola J. Lipského s MŠ Trenčianske Stankovce, Slovakia, Project Comenius. 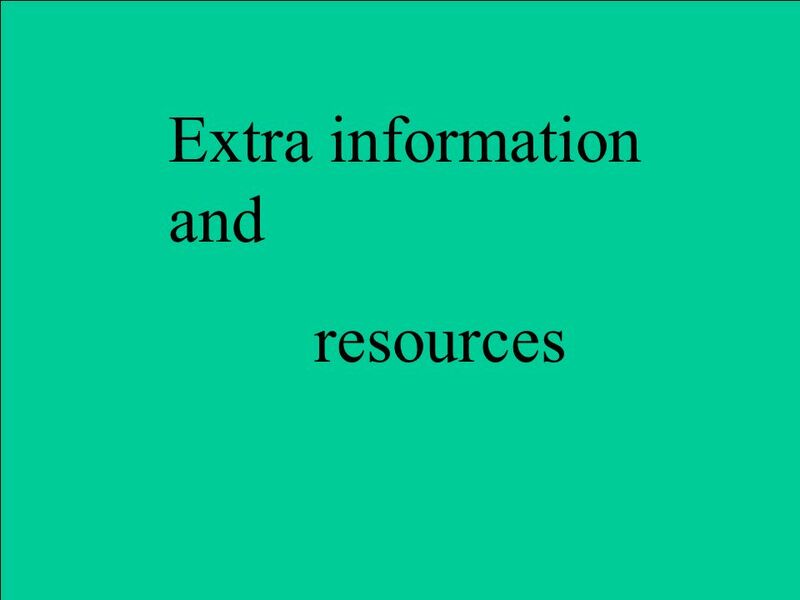 Facts you need to know about Air! 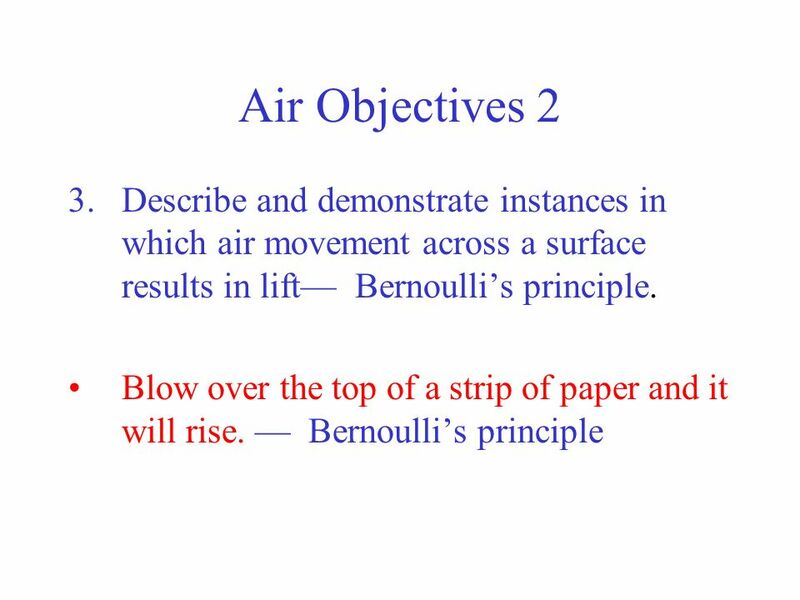 The Magic of… Bernoulli’s Principle. Aerodynamics is… The study of forces and the resulting motion of objects through the air. AEROPLANE Done by, RAKHI M.R. & SINDHU P. RAKHI M.R. & SINDHU P. Standard 10 E G.M.G.H.S.School Pattom, TVM. 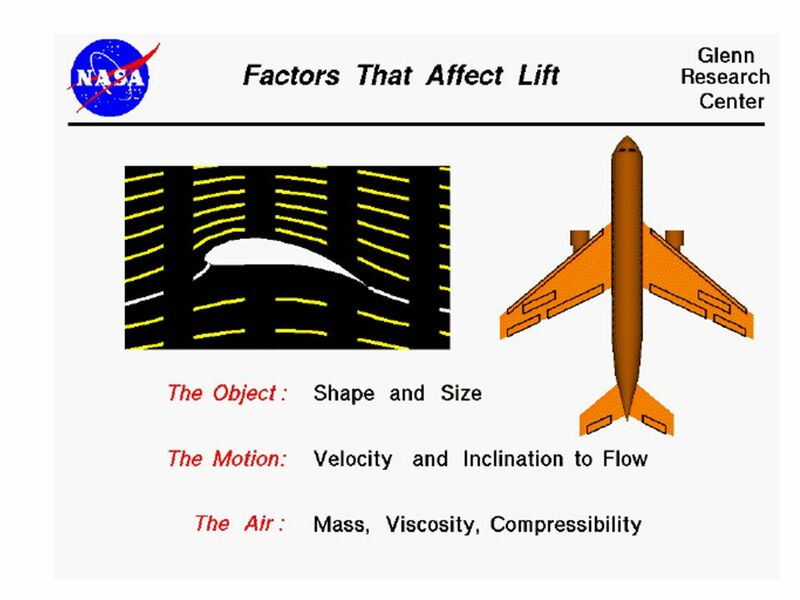 Air and Aerodynamics Specific Expectations I can provide evidence that air takes up space and exerts pressure; identify examples of these properties in. 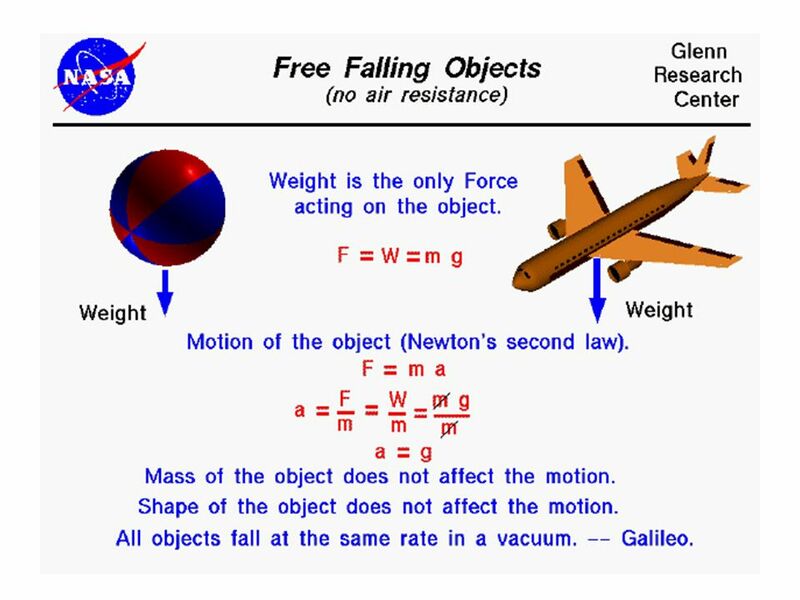 The Forces on an Airplane. 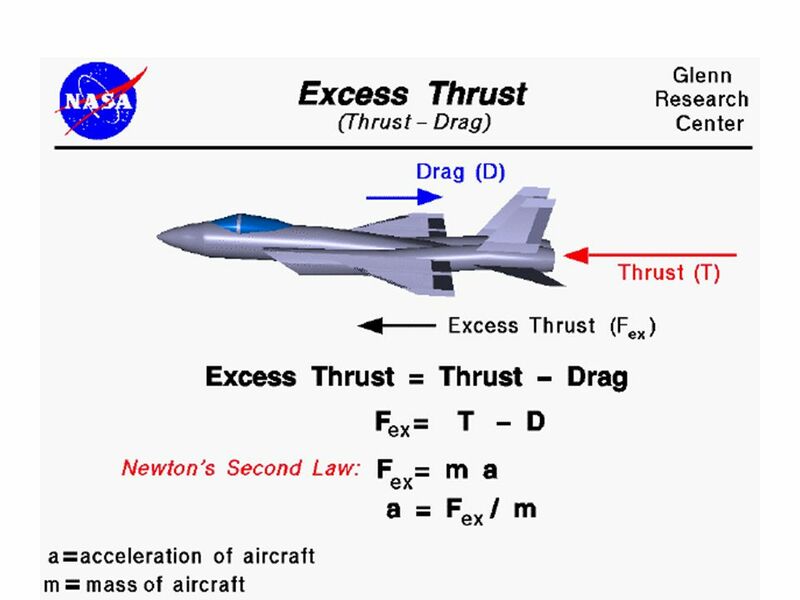 Four Main Forces Lift, Weight, Thrust, and Drag. 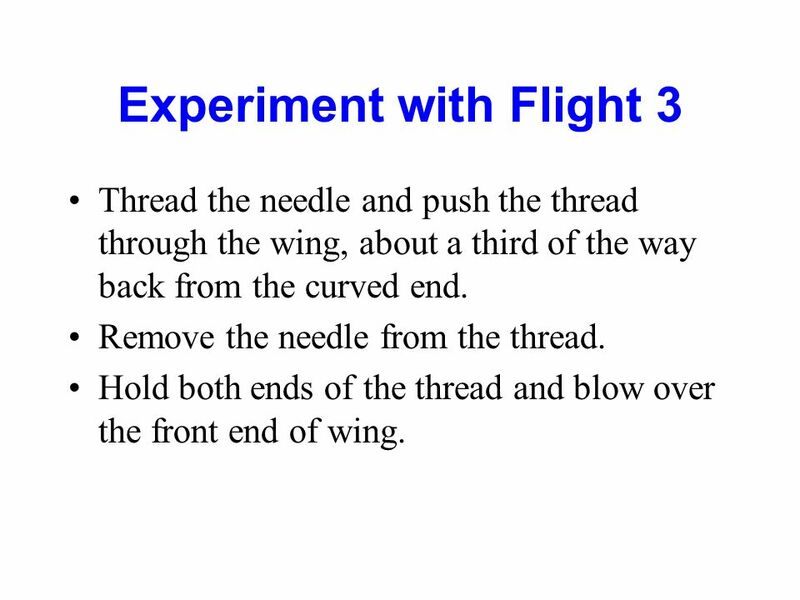 Principles of Flight Spitfire. 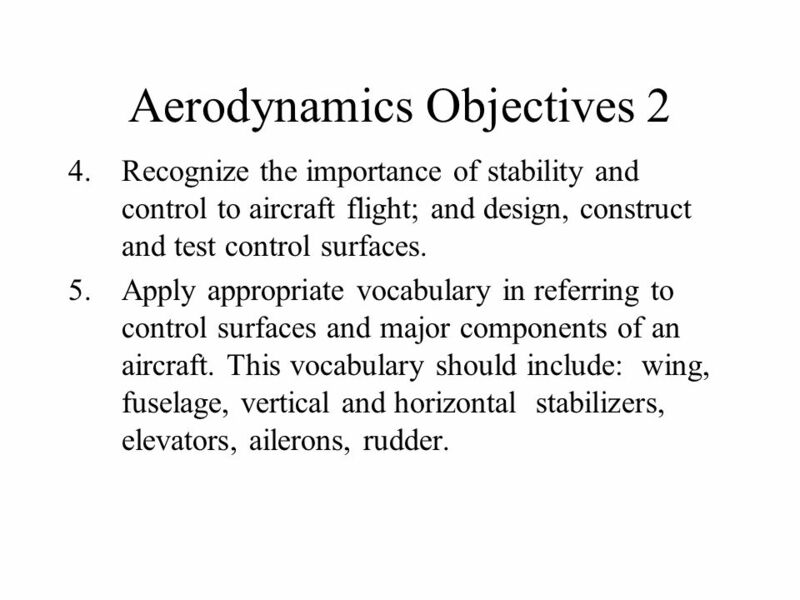 Chapter 1 – Weight and Lift How is an aircraft, which is much heavier than the air it flies in, supported by the air? C130.